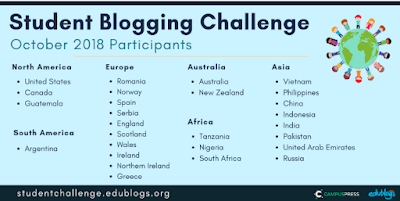 Mrs. Yollis' class is participating in the International Student Blogging Challenge! The focus of week 2 is composing QUALITY comments! Blogging has many parts: the post, the comments, and the sidebar. If you do a good job with all of the parts, your blog will be more interesting. Today we will focus on quality comments! 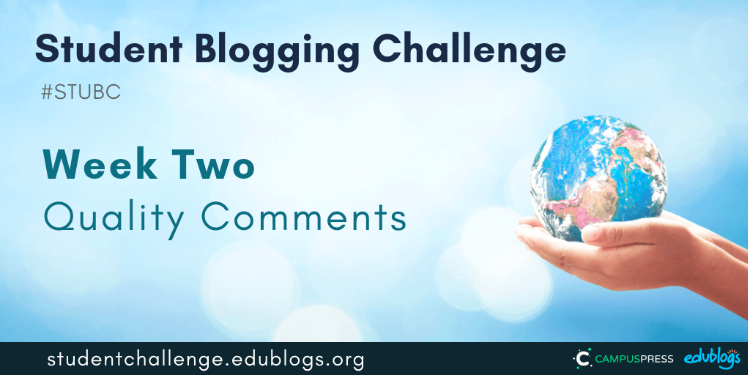 The comment section is where the blog comes to life and a learning community is built. What do you use to learn typing? What are some famous landmarks in your country and have you visited them? What are some traditional foods from your area? What are some professional teams in your area? Mrs. Yollis, just to say that you and your students have been an inspiration to me for years! THANK YOU for sharing your process and ideas here. I think it is great that your students are learning some HTML... I teach college seniors, and I go through the same process of teaching them some HTML to liven up their comments, and there your students are, learning that already. Fabulous! Some of our class already knows HTML and it's just the start of the year! Mrs. Y♥llis has a page at the top with tips. We are surprised that we are learning some of the same things as college students. What are some of your favorite HTML c♥des? What a great question! My favorite HTML is using things like iframe and script to make the SIDEBAR of my blog full of fun and new stuff. This is my blog: Class Announcements. See that growth mindset cat in the top right-hand corner? That's a randomizing thing so that there is a new cat at random when you reload the page. And then I like iframe for embedding things so that there is a slideshow there with the projects my students are doing; the slideshow plays automatically so you can see everybody's projects, and click and go visit a project if you want. 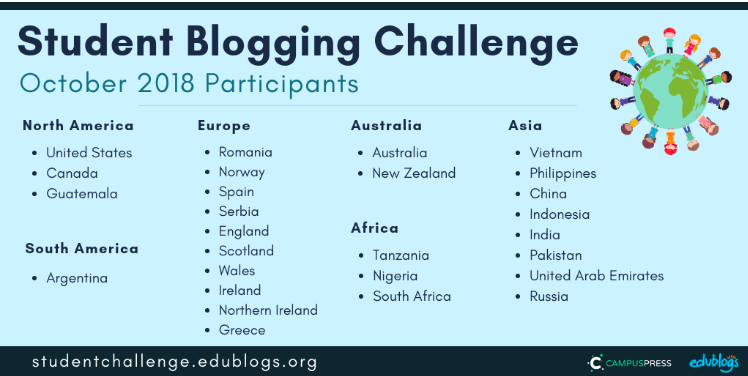 Having random and dynamic content makes the blog more fun for my students (I hope it does anyway!). They all have blogs too, and learning how to do good comments and feedback is a big part of our class too. I even have Feedback Cats to encourage them. (I like cats!) HAPPY FRIDAY! That is Indonesian for, "Good morning, children and Mrs. Yollis". When I was at university studying teaching, I also studied Indonesian. Of course, I have forgotten a lot! Does anyone in your class speak another language? I just want to say a big thank you to Mrs. Yollis for allowing me to use a number of her ideas and examples in our week two STUBC post. She is a commenting role model! It's amazing that you speak Indonesian! A lot of people in Mrs. Yollis's class speak different languages too. Shasha and Max speak Russian. They say that you need to be fluent because it does not sound right if you are not fluent. Hana speaks Hawaiian. She says that Aloha means goodbye and hello. Lily speaks Hebrew. She says that shmah means listen. Scarlett and Mrs. Yollis speak some Spanish. Scarlett says that yo veo heldo means I see ice cream. Mrs. Yollis said that gracias means thank you. Mila does not speak another language. How is it that you learn Indonesian? Do you speak it often? Thank you for taking the time to write to us. I think Indonesian is awesome. Have you ever been to Indonesia? Where did you go to school? What do you like to do during the weekend? I am currently trying to learn American Sign Language. I would like to be able to communicate with the deaf. Thank you again for reading this! Hi! My name is Lisa, and I am Faith's mom. My sons both had Mrs. Yollis, and our family has greatly enjoyed the blog through the years. 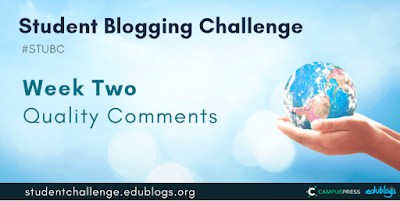 I just love how blogging can improve a student's quality of writing. I have always agreed with Mrs. Yollis that an important aspect of quality writing is proofreading -- and that the blog is good practice for that. Do you want to know what one of my favorite proofreading tricks is? I often read my words out loud to myself (as long as I'm not bothering anyone). Sometimes I catch more errors that way. I don't know when I started doing that trick, but it just became a good habit of mine. What is a habit that you do that helps you with your everyday life? First of all, congratulations on a fabulous comment filled with two types of HTML! We noticed you used italic and bold. Abby agrees with you. She thinks blogging is good because you can learn how to type and then really write. Kaia thinks blogging is awesome because it helps you think about what you want to say in a quality way. For example, we are trying to employ amazing vocabulary. You asked if we have habits that help. Josh has a habit that always works for him . When he get to school, he waits for me to call the Reading Counts kids in, and then he goes inside and reads. Charlie has a good tip for homework. He starts right away and then he reads for 20 minutes. Brett does a similar thing. He reads first though. Then he does math homework. Cassidy reads in the car when her parents are running errands. We have some questions for you. What is your best organization tip? What is your favorite blog post? What is the first thing you do when the kids come home? Thank you for replying to my comment! I am so glad you noticed that I used two kinds of HTML. I learned how to do it from this blog four years ago! I always have to refer to Mrs. Yollis' helpful graphic, though, because I often forget exactly how to do it. I really enjoyed hearing about your good habits. I am sure that all of those good habits will continue to make you the best and most organized students you can be! I especially loved hearing how much you all focus on reading and how you make sure to fit that reading in. Today, we took Faith's book in the car when we went to pick up her oldest brother, and Faith did some reading in the car while we waited for him. You asked me some wonderful questions. 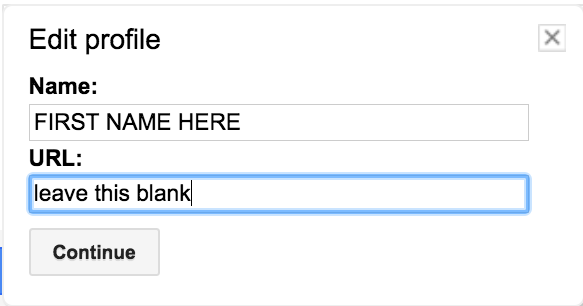 I think my best organization tip is to write important things down so I don't forget them. Some examples are writing (or typing) something in our family calendar and making lists and checklists. When we go on a family trip, I usually give Faith and her brothers a list of things I need them to pack. They pack each item and then check it off! Faith's oldest brother is in middle school, and he likes to put Post-It notes on his books or on his Acer to remind him of something important he has to do. Do any of you like to make lists or notes? My favorite blog post is hard to choose! There are some that contain stories or videos made by Faith's brothers, and I'm proud of those! I also always really enjoy Mrs. Yollis' patriotic posts -- especially her Veteran's Day posts. Seeing the photos of servicemen and women who are connected to our students is very special! Now that you have all been in Mrs. Yollis' class for almost two months, what has been your favorite post so far? Finally, you asked about the first thing we do after school in our house. We take off our shoes, wash our hands, and then the kids unpack the waters and lunchboxes from their backpacks. (I guess that's really three things, huh?) Usually the next thing we do is have a snack. What is your favorite after school snack? I will try to answer some of your questions as best as I can. First, I don't usually have an after school snack but at boys and girls club (BGC) they do snack time. It is usually something like carrots, pretzels, RITZ, and gummies. My favorites are pretzels and gummies. What do you like on the blog?